it's always a challenge keeping the kiddos entertained. between visits to the conservatory, library, nature museum, and planetarium, we've been trying to fill in the gaps to keep both kids from bouncing off the walls in sheer boredom! 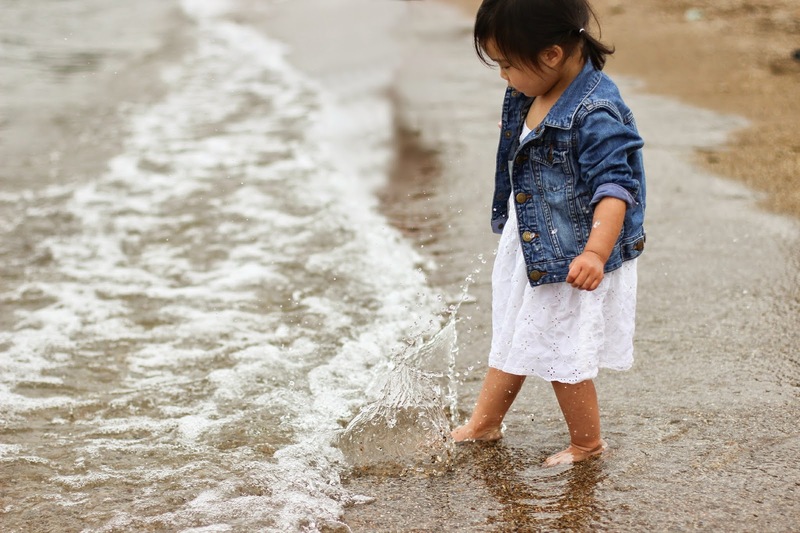 here are some activities that have been great boredom busters. 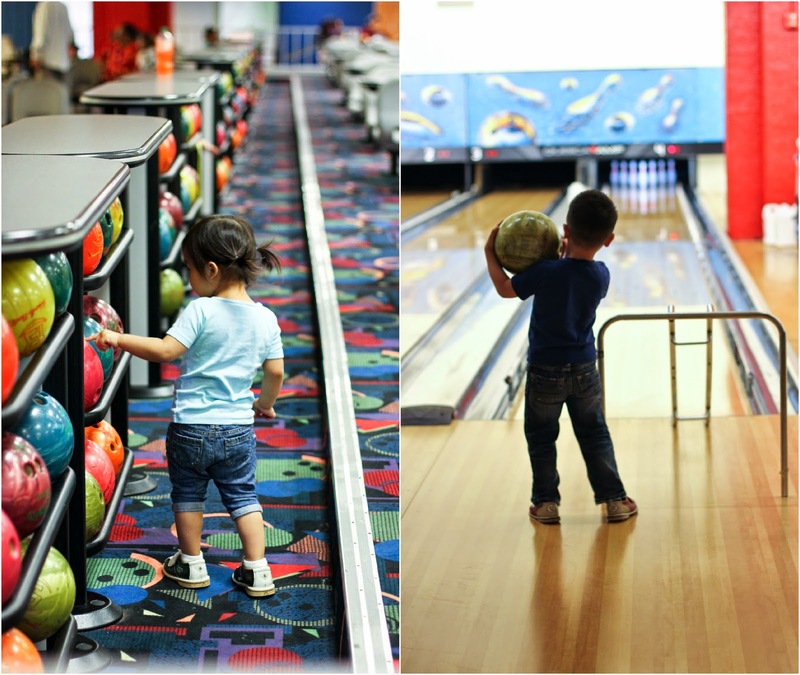 Bowling: we went bowling for the first time as a family, and the kiddos absolutely loved it! 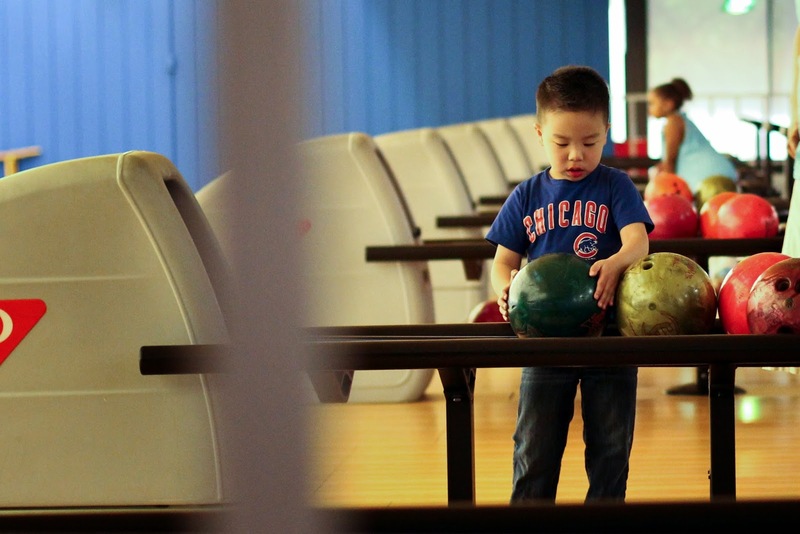 those kid ramps make it so much more fun because it gives their ball enough momentum to actually knock down some pins. i may have had the lowest score in our bunch, but i'm blaming it on my recently diagnosed carpal tunnel syndrome. regardless, this activity is a keeper. 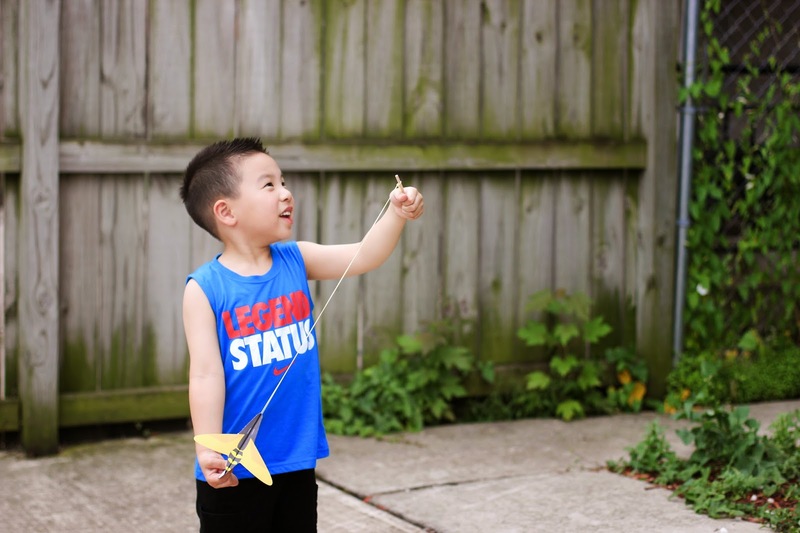 Paper Airplanes: jaden recently started asking me to make him paper airplanes but then i discovered that i'm terrible at it! my planes never seem to fly straight and seemingly fall apart mid air. 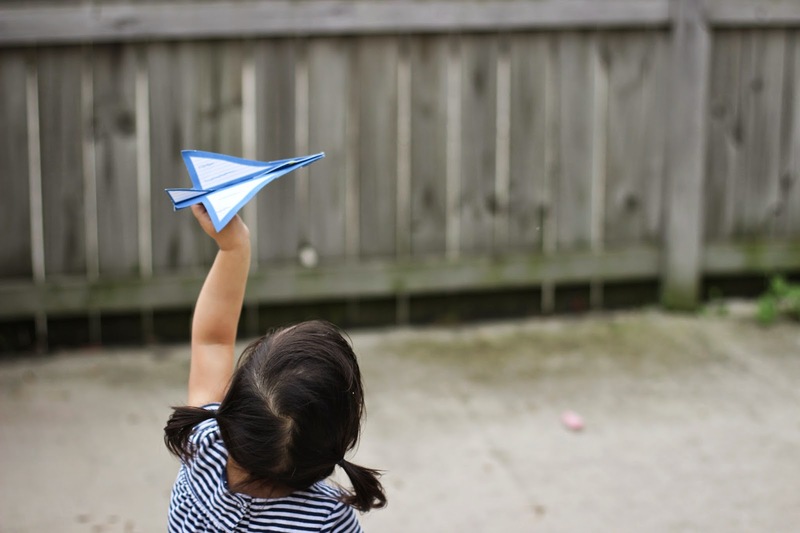 but these One Minute Paper Airplanes have come to my rescue. making these doodads take a little folding and stapling and voila, cool looking airplanes that actually fly. perfect summer activity for the backyard. 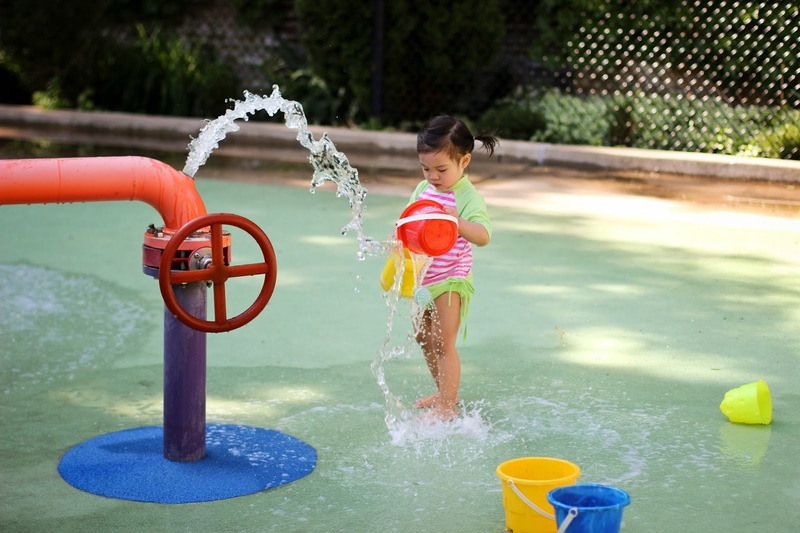 Water parks/Splashpads: the perfect way to cool down on a hot, humid day. i make sure to always keep sunscreen, swimsuits, and towels in the car for impromptu water play. 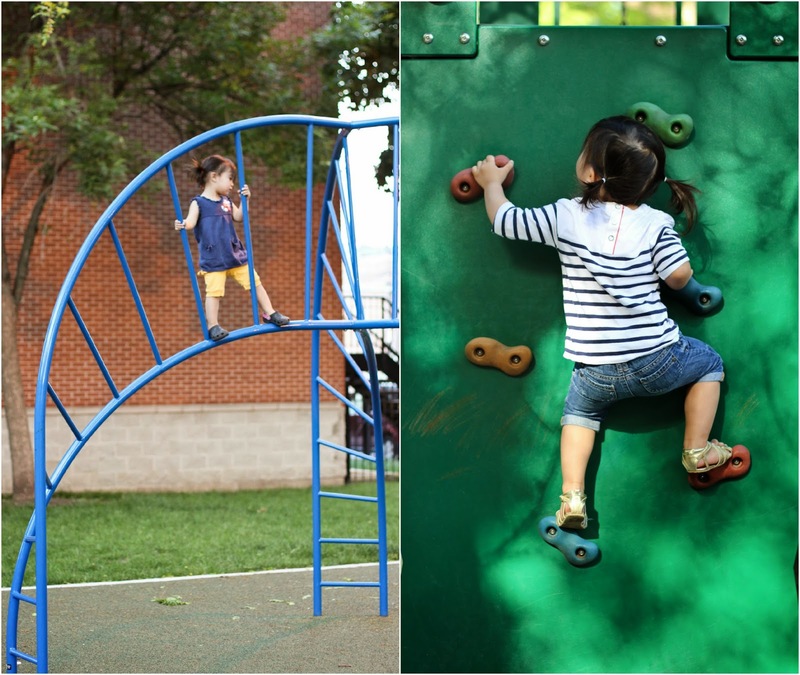 Playgrounds: on the days where it's a bit too windy or chilly for the water park, we head to a local playground. 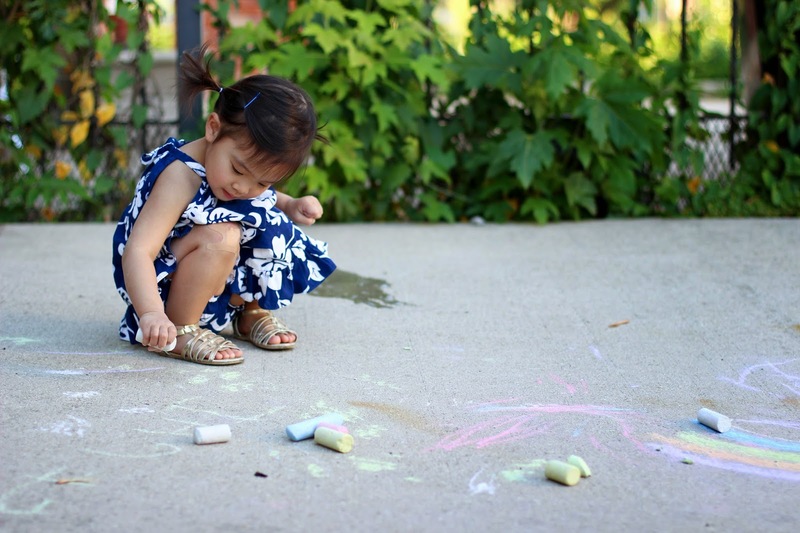 Sidewalk chalk: can't go wrong with sidewalk chalk. the toddler hieroglyphics gives me some insight into what really goes on in those little brains! happy summer everyone, and keep cool!